Here at homify, we are always looking at ways to improve our own homes, whether that is by means of structural improvements or by changing up the interior design scheme of the house. This is why we like to bring you ideas and pictures of inspiration to do just that for your own home as well. There are wonderful professionals out there, but plenty you can do for yourself too. Today, we will hone in on the bedroom—that very intimate and special room of our homes, the place that is uniquely our own. 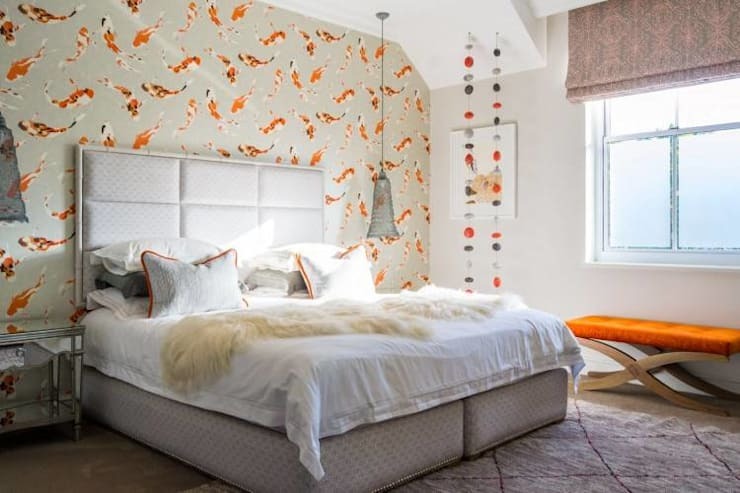 We are going to explore a few ways in which you can improve your bedroom space, and we are sure you will agree that these are all beautiful ideas that will improve the quality and atmosphere of your living space by tenfold. 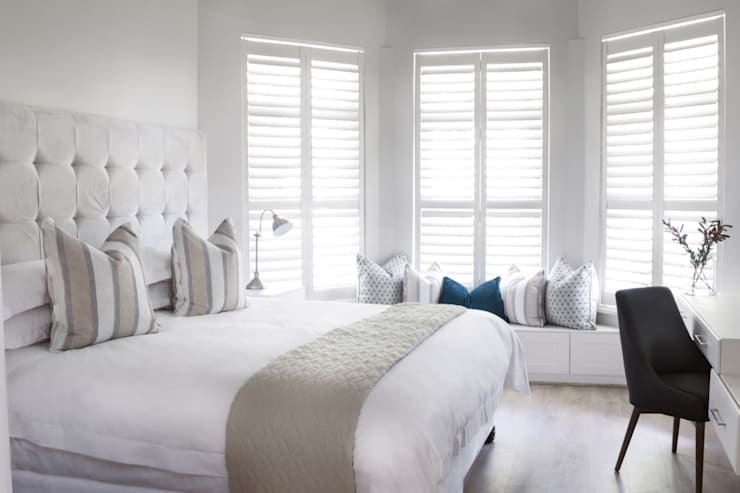 Join us in exploring this list of ideas which you can easily imitate and individualise to create the bedroom of your dreams. 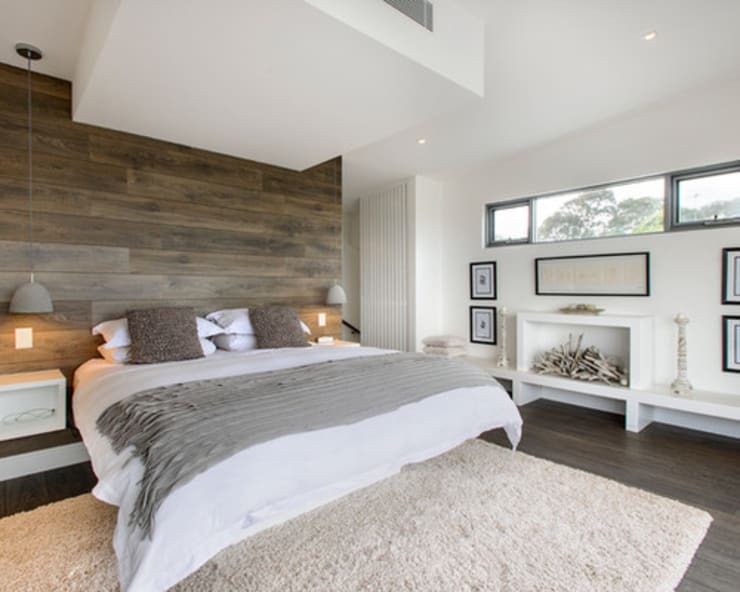 Create a beachy atmosphere in your bedroom for calmness and serenity by incorporating neutral colours and natural elements, such as driftwood and sandy textures. If you have a hollow corner, or the space to add one, you can insert a little alcove with cushions and textures to create a comfortable reading spot. 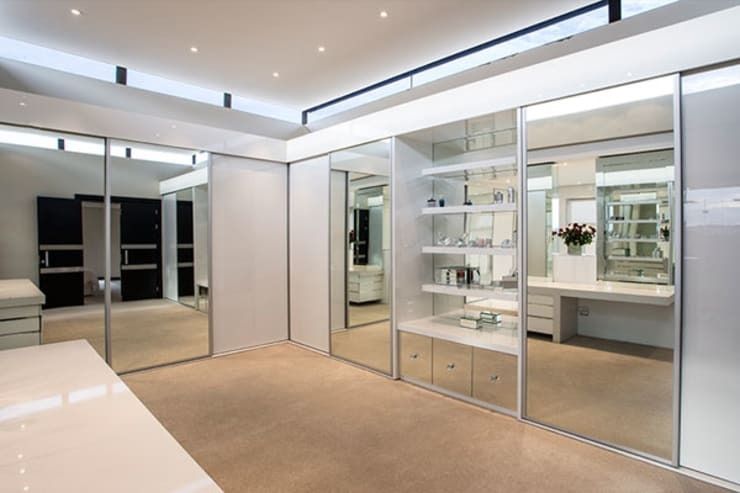 Big in the 90's, mirrored walls and cupboard dorrs are making a comeback. If you have an en-suite bathroom, why not open it up to create a lighter and more free space. Bring some life to your bedroom with an intense colour to the background. 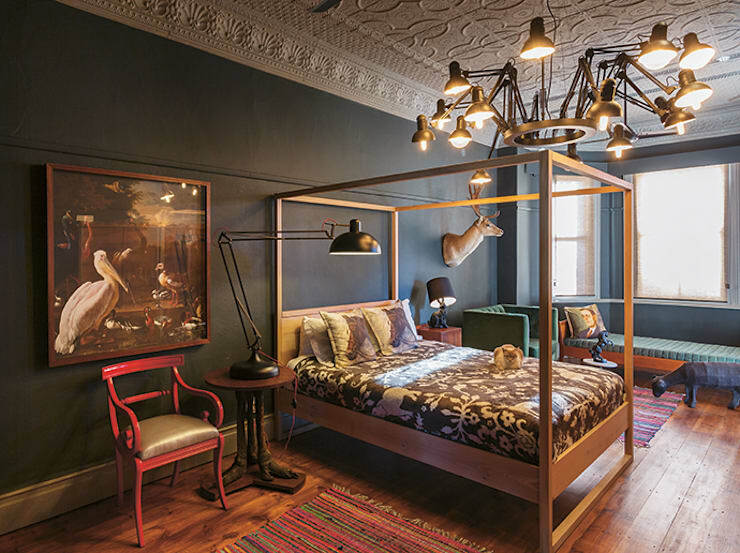 Bring in some old school style mixed with modernist elements, like a framed bed and classic paintings together with an industrial-style chandelier and trendy textiles. Make your bedroom light and large by using all-white textiles with white walls. 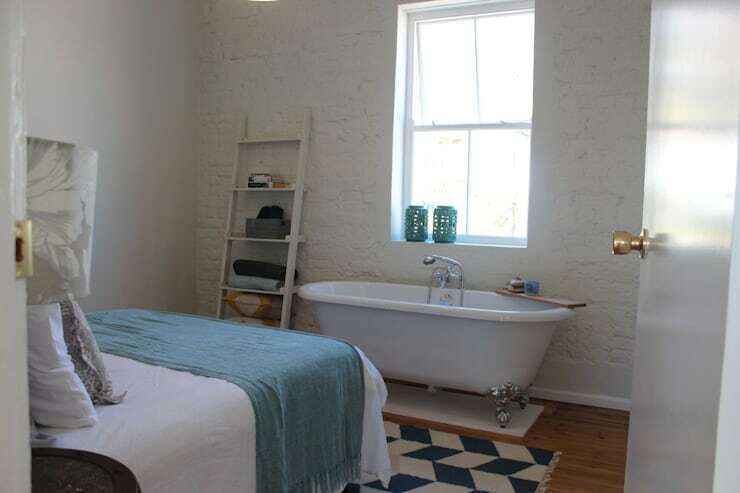 If you have a bachelor's flat or studio apartment, you can bring a free-standing tub in right next to your bed for convenience. You can bring a casual and free=-spirited feeling to your bedroom by incorporating some fun and easy-going patterns, as well as loose-wire lights hanging from the ceiling. 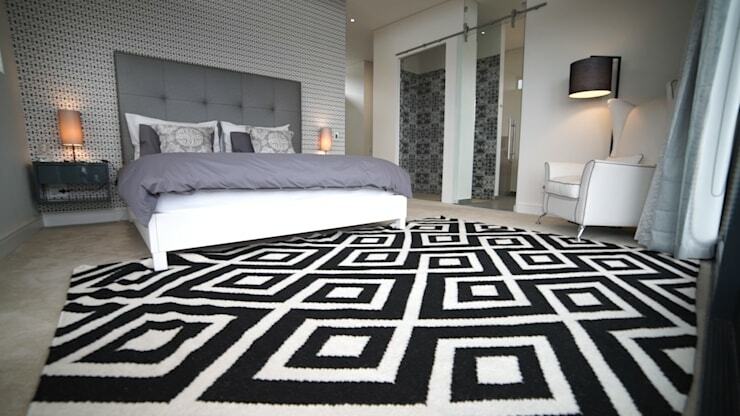 Bring in some sharp and monochromatic geometry into your bedroom for with patterned rugs, such as we can see in the image. 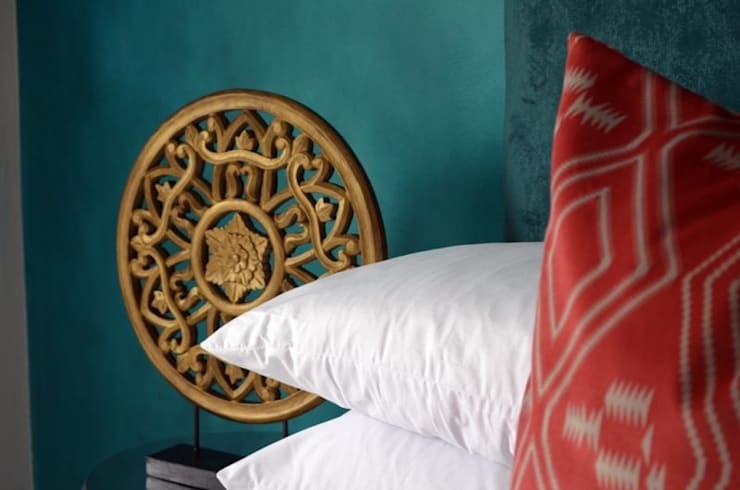 Some metallic and Eastern-inspired decorative elements will enhance your humble abode. This fun wallpaper pattern will bring an exciting and carefree atmosphere to your bedroom. This beautiful headboard features a painted design that enhances the atmosphere of the entire bedroom. 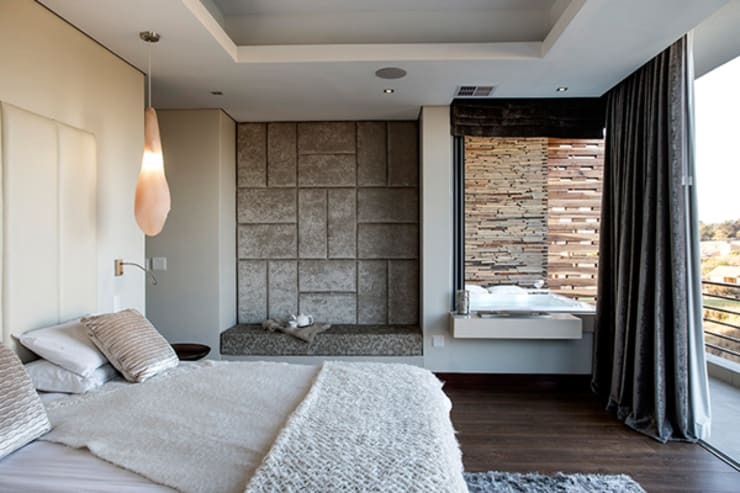 These ideas are sure to improve any bedroom you come across, but take a look at these bedroom design that are perfect for South African homes in particular. 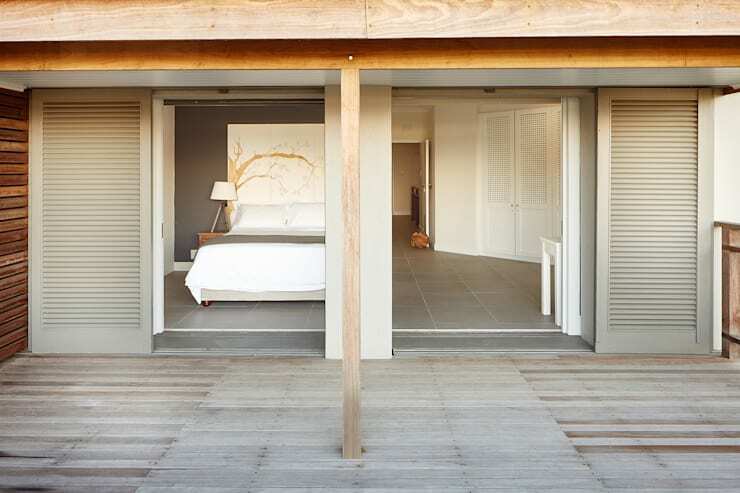 Which of these bedroo ideas did you like the best?